With little or nothing to play for again in the season than securing 3rd place, with the day already shadowed by the super sunday game between United and Chelsea we travel to the Brittania stadium to meet Stoke City. Only the hardest fans would say mathematically we could still win the title, but I don’t share their optimism. As Expected, a lot has been made of this fixture because it marks the return of Aaron Ramsey to the place where he got his ankle broken by Ryan Shawcross & ultimately ruled out for 8 months. This led to a series of back & forth between both club managers which spilled to the Arsenal fans who continue to boo Shawcross each time both teams meet. Its reported that Ramsey still hasn’t returned any of his assailants calls or messages. Oh well. On to team news for the day, Captain Cesc is still ruled out and he’s joined on the sidelines by Nasri, Diaby and Djourou who is carrying a knock. That means Ramsey is set to keep his place and Arshavin should come in for Nasri. Thomas Vermaelen has also been pencilled in for a return to the line up in Djourou/Kozzer’s place. With nothing much left to fight for, it would be nice to win our remaining games just to end the season on a high. From wherever you’re reading, have a lovely day. Vermaelen ready for Stoke test, Wenger “apologizes”? Arsene Wenger gave a pre-match media briefing this afternoon and some interesting issues came up. He gave an insight into the weekend’s trip to the Brittania stadium, home of Stoke City. One of the things he talked about is the injury situation at the club. Thomas Vermaelen could make a surprise return to the team just as the season comes to an end. The 25-year-old has had a season to forget in which he missed most of the campaign due to an Achilles injury. He was thought to only be out for a short while, but as with many other Arsenal players, weeks turned into months. Last week, he made a return to the reserves, playing his first 90 minutes of football in 8 months in a reserves game against Manchester United. Had this come earlier in the season, we might be rejoicing, but considering how our season has panned out, the best we can hope for is a good pre-season for him and readiness to start next term. Another man who may be making a dramatic return to the Brittania is Aaron Ramsey. The Welshman has started only three games since breaking a leg at Stoke in last February. He stepped in to replace captain Cesc Fabregas against Manchester United last weekend and did so with distinction, scoring the lone goal of the game. Cesc picked up a thigh injury last week and has yet to return to full training and it is as though Arsene has decided to stick with Ramsey for the tough trip. Someone has been benefiting from these injuries and that person is none other than new number 1, Wojciech Szczesny. The lad has had a lot of playing time mainly due to injuries to Manuel Almunia and Lukasz Fabianski and he took time out to talk about his experience as Arsenal’s number one. He stressed on the importance of having a father figure in Jens Lehmann around him. ”It’s very interesting actually – after every game he talks to me in great detail. He also takes me to one side at training, or when we’re doing some stretching, and gives me a lot of advice about little aspects of my game”. Wenger also took time out to “apologize” for his refusal to bring in another defender over the winter break. In January, we were firing on all cylinders and we could have done with an enforcer at the back. 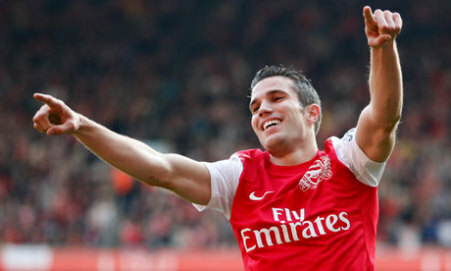 Apparently, he expected Vermaelen to be back earlier, but the Belgian suffered a couple of setbacks. Thanks to hindsight, we know how our vulnerability at the back has contributed to a 6th successive trophy-less season. So it is as though, Jack Wilshere has decided to represent his country in this summer’s U-21 Championships. I really do not understand why a lot of fans are giving him stick. The lad has played his heart out for us, if he wants to represent his country, why should we not let him? The last thing we want on our hands is an unhappy Wilshere disrupting our start to next season. So, from us at Memoirs of A Gooner, we wish him the best of luck. Tomorrow’s post should put you in the right frame of mind for Sunday’s game.